The Trimming Station was built for the Culture Wars Then and Now series of events held in conjunction with the 30th Anniversary of Ron Athey's performance in Minneapolis and subsequent NEA backlash. 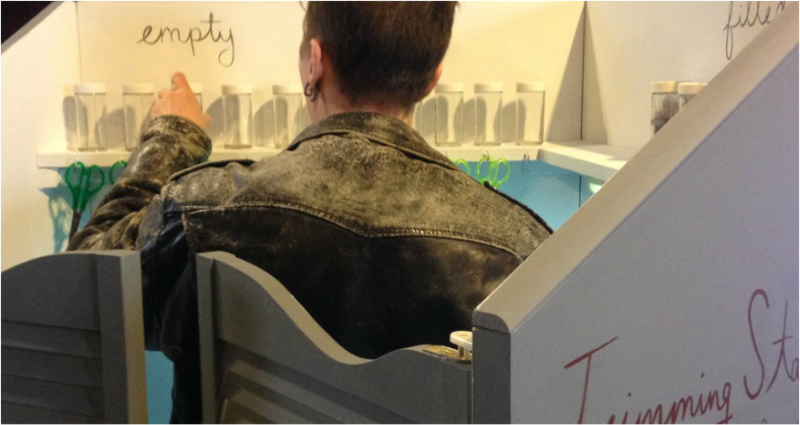 The Trimming Station is an interactive sculpture where participants enter the station, trim their pubic hair, put it in a jar and label it with the name of their choice. The pubic hair collected contributes to an ever growing archive of pubic hair.